The B.C. Teachers' Federation is recommending its members accept the tentative six-year deal which B.C. Premier Christy Clark is calling "historic." A deal of that length has never been reached with teachers before in the province. "We have … reached an historic six-year agreement with teachers," Clark said at a news conference Tuesday afternoon. "This has never been been done before in British Columbia's history. That means five years of labour peace ahead of us." Clark said the agreement, which must still be voted on by teachers, took leadership on both sides and "real courage" on the part of the union. She said it guarantees that the two sides can have meaningful and productive discussions on education in the years to come. The deal to settle the months-long B.C. public school teachers' strike could have students back in class by Monday, said Clark. Teachers are expected to vote on whether to accept the package Thursday. MORE | When schools could reopen? 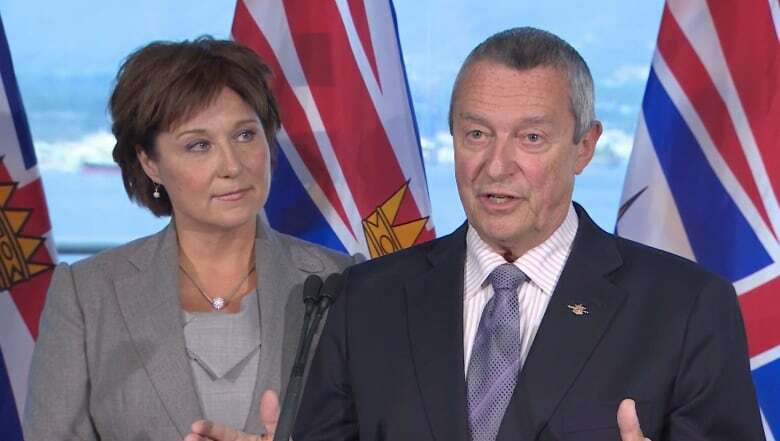 Clark said the deal is a real "game changer" that settles the outstanding grievances from the B.C. Supreme Court decision that ruled in the teachers' favour on class size and composition. "We agreed that we're going to settle the outstanding grievances that are there, and that was a major step forward for both sides," she said. "It was a key to make the agreement work. There was a major potential liability projected for the education system and we decided that it was worth settling that liability first." Clark said that alone should go a long way to solving the "dysfunctional" relationship between the two sides. To settle that part of the dispute, the government has agreed to put $108 million into a grievance fund. However, the province is still appealing the court ruling and the contract includes a "reopener clause," which in the event of a court decision in the province's favour would allow it to revisit some of those issues. The deal also includes $100 million more to address class size and composition. The government had been offering to set aside $300 million for a learning improvement fund for teachers but increased it to $400 million in the final deal. Once the details of the deal are finalized by the bargaining teams, the province's 41,000 public school teachers will have to vote on it before classes can resume. A date for a ratification vote has not yet been announced, but BCTF spokeswoman Nancy Knickerbocker tweeted that teachers could vote on the tentative deal on Thursday. B.C. 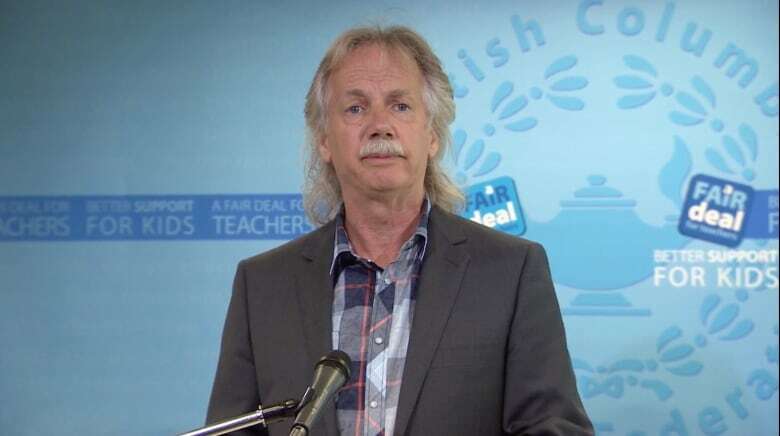 Teachers' Federation president Jim Iker spoke publicly about the tentative deal later Tuesday afternoon and addressed his first remarks to B.C. 's roughly 41,000 teachers who, he says, took a "courageous stand" at the picket lines. "I know the last few months have been tough," he said. "Be proud that your efforts made a real difference." Iker said "it was a tough series of negotiations" and the union is recommending the teachers accept the deal. "The tentative agreement will provide new support for students, ensure there are more specialist and classroom teachers in schools working with children, and protect teachers’ constitutional rights as the court case continues," he said. Iker said the BCTF has negotiated improvements to salary and benefits, as well as a "significant grievance remedy fund" that will be used to disburse a one-time payment to BCTF members. The deal would include the creation of several hundred new teaching positions each year and change how on-call teachers are compensated. The agreement makes no concessions, Iker said, and specifies that a mutually agreed-to process will be used to address any future court decision as well as the removal of the contentious contract clause E80. "An important part of this collective agreement was there was going to be no negotiating away our court rights," he said. 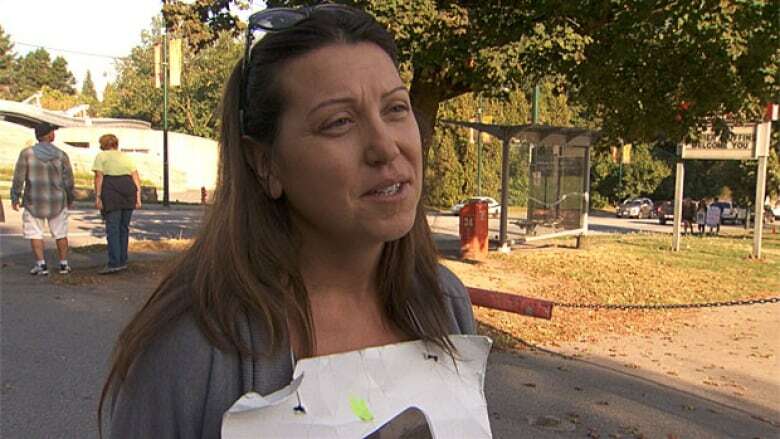 Iker said the full details of the tentative agreement are being made available to teachers through the BCTF's online member portal, but the interest has been so high that the server was crashing Tuesday and not allowing teachers to log on. The public won't be able to see full details of the deal until it is ratified by BCTF members, he said. Reaction from teachers on the picket line in Vancouver was a mixture of joy, relief and frustration. I’m so happy, very very happy, very excited," said Leone Payson "I want to get back in the classroom. I want a fair deal and we can’t keep doing this. We need to see the light at the end of the tunnel." Teacher Treena Goolieff wondered why it didn't happen sooner. "I feel a lot of things right now, a sense of relief, a sense of frustration, that in three days the government was able to negotiate with us," she said. "Somehow months and months ago this could have been dealt with in June, so I feel really sad that it was OK to let us hang out here for this long and our kids not be in their classes." Teachers said they hope to be back in class by Monday but it remains unclear when schools will reopen if the deal is ratified. School administrators say there will be a lot of work to be done before students can return to classes for the first time since June. Schools, behind picket lines for three months, need to be cleaned. New schedules for students who missed summer school also need to be drawn up, and teachers will need to be assigned to classes and get ready for students. That indicates students could be back in school on Friday at the very earliest, but more likely Monday next week. Some schools have professional development days scheduled for Monday and it remains unclear what will happen in those cases. Negotiations began Saturday under increasing pressure from the public and suggestions by the government that legislating an end to the dispute was an option. Last Wednesday, the BCTF voted overwhelmingly to end their dispute — which dates back to before the end of the last school year — if the government agreed to binding arbitration, something the province had firmly rejected. Teachers launched full-scale job action two weeks before the summer break and students have missed more than two weeks of the 2014-2015 school year. The federation and B.C. government — no matter what political affiliation — have a decades-long history of animosity and difficult labour disputes. B.C. teachers' strike: When will schools reopen?